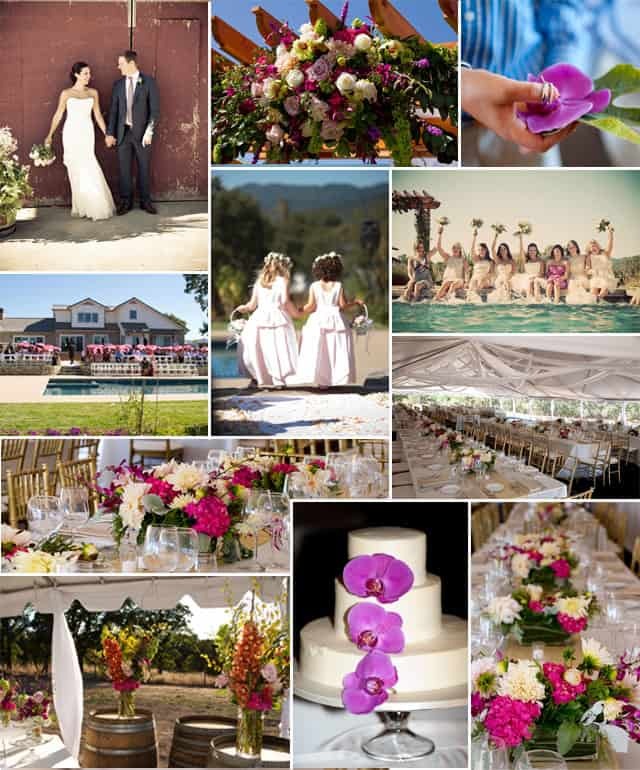 This beautiful backyard wedding took place in California. The floral arrangements were stunning and the various shades of pink tied the event together so elegantly. The ceremony took place in front of the gorgeous pool and guests were handed pink paper umbrellas to shade the sun. The tented wedding reception had a wonderful family style seating arrangement with gold chavari chairs and beautiful pink, white and green centerpieces.